The WGN Radio sign appears on the side of Tribune Tower, Monday, May 1, 2017, in downtown Chicago. Sinclair Broadcasting is on the verge of a deal to acquire Tribune Media, creating a local television behemoth, sources said Sunday. The $4 billion deal is slated to be announced on Monday morning. Sinclair beat out Nexstar in the auction process, according to one of the sources. Another one of the companies said to be involved, 21st Century Fox, decided not to move forward with a bid, a second source said. Reuters reported Sunday afternoon that Sinclair had prevailed in the auction. The news wire, also citing sources, said "Sinclair's offer values Tribune Media at around $44 per share." Tribune shares closed at $40.29 on Friday. The deal will be subject to government regulatory review. But the Trump administration has signaled that it will look favorably on media consolidation plays like this one. Sinclair is already the largest single owner of local TV stations across the country. Tribune owns dozens more. Joined together, they'll have even more muscle in negotiations with cable, satellite and digital distributors. 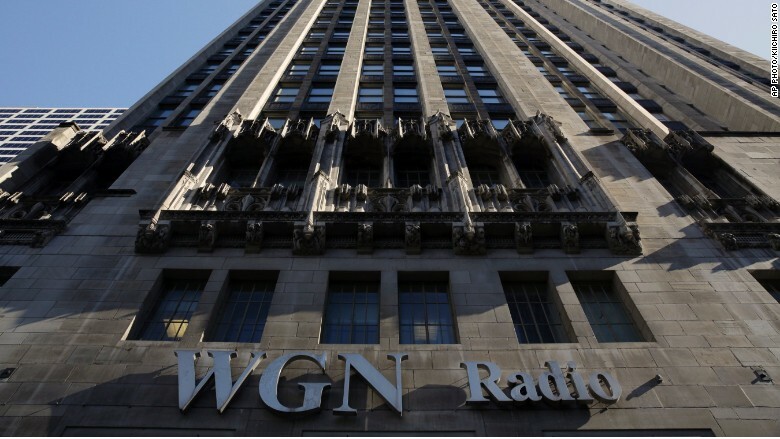 Sinclair will also gain Tribune's cable channel, WGN America; its 32% stake in the CareerBuilder web site; and its 31% stake in the Food Network. There has also been speculation that Sinclair, with the addition of Tribune's portfolio, could try to launch a rival to Fox News, though the company has not commented on the possibility. Sinclair has been scrutinized over the years for its corporate ties to Republican politicians and its on-air support for conservative causes. Sinclair, Fox and Tribune all declined comment Sunday.